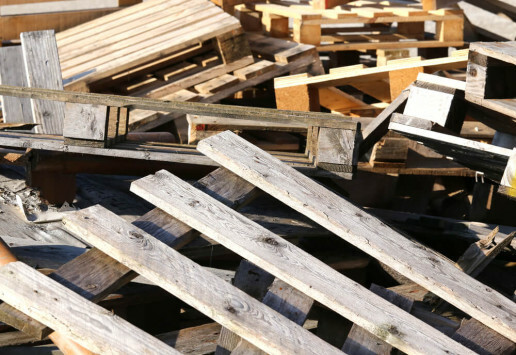 These are pallets that can be reused again and again. Incoming Pallets are sorted to size and damages are repaired. They are graded to meet customer’s specific needs. They may have cosmetic defects but are structurally sound. 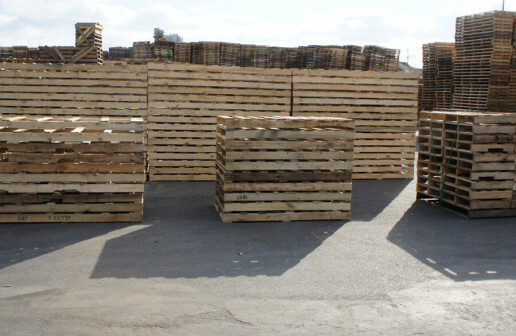 All Nazareth pallets go through a double culling process to provide our customers only the Best Grade Recycled Pallet. This type of pallet is usually the least expensive. These are custom made pallets assembled from either all reclaimed wood or a combination of new and reclaimed woods built specifically to a customer’s specification. Savings range from 20% to 40% by using all or partial reclaimed wood over all new wood. With our new automated build machine these pallets are now even more consistently precise in size so they will better fit into your production line machinery without creating problems. New wood pallets are made from either soft or hardwoods or a combination of both. 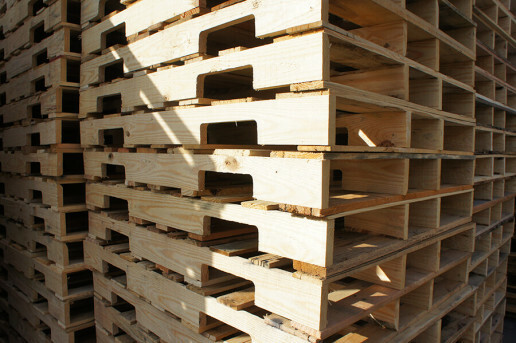 Unlike recycled pallets in which the woods and board dimensions may differ slightly, a new wood pallet is made to an exact spec as supplied by the customer or by using our specialized computer draw software program that assures exactness. Special requirements such as size, spacing, and board thickness are not a problem at Nazareth Pallet. 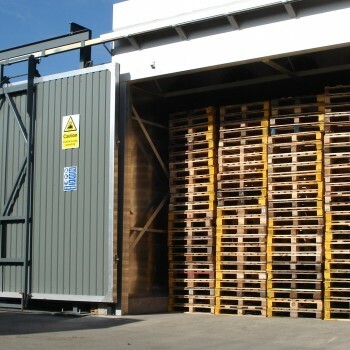 Heat treated pallets are primarily used for export or wherever absolutely no evidence of insect contamination is allowed. The kiln heat treating process has replaced fumigation to eradicate insects as it does not use dangerous chemicals in the process. Nazareth Pallet maintains an inventory of the most popular heat-treated sizes and will heat-treat any recycled, combo or all new wood custom built pallet. Each pallet is clearly stamped with an HT mark. If needed, Nazareth will add additional paint markings for easy warehouse identification. ISPM 15 is an International Phytosanitary Measure which directly addresses the need to treat wood materials of a thickness greater than 6mm, used to ship products between countries. It affects all wood packaging material (pallets, crates, dunnages, etc) requiring that they be treated with heat or fumigated with methyl bromide and marked, often branded , with a seal of compliance. This seal of compliance is commonly known as the “wheat stamp”. Products exempt from the ISPM 15 are made from alternative material, like paper, plastic or wood panel products (i.e. OSB, hardboard, and plywood). The Revision of ISPM No. 15 (2009) under Annex 1 , requires that wood used to manufacture ISPM 15 compliant Wood Packaging must be made from debarked wood not to be confused with “bark free wood”. ISPM 15 was updated to adopt the bark restriction regulations proposed by the European Union. 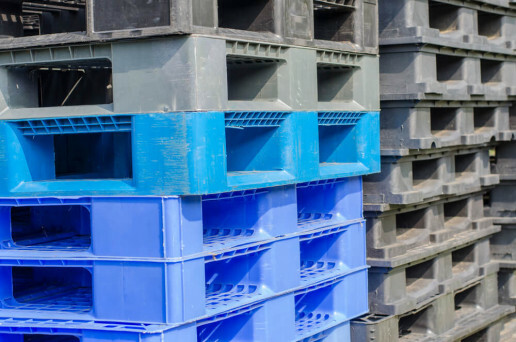 Recycled Plastic Pallets are ideal for export as they avoid the need for the heat treatment process. They usually have a longer life cycle than most wood made pallets thus making them a good choice for in warehouse movement. There are two kinds. Nesting and stacking and both are always 4way entry. Nesting pallets do not have runners. Instead they have pedestal feet. The advantage is that they take up much less room than a stacking pallet and are usually used more for lighter duty use than a stacking pallet. Stacking pallets have runners or what can appear to be a full coverage bottom. They are usually stronger than a nesting pallet and can take heavier loads. These pallets can vary in overall design. Nazareth Pallet carries an inventory of the most common recycled shapes and sizes.